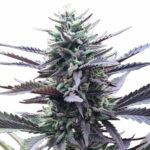 Paradise Seeds have been growing Marijuana Seeds since the early 1980’s and only select the best genetics for their collection of over 30 different marijuana seeds .Paradise Seeds are some of the finest Marijuana Seeds available online today,All Paradise Seeds are organically produced so they are fresh and always quarantee a 95% germination rate. The same seeds suppiled to you are the ones used to win numerous Cannabis Cup’s.Paradise Seeds are always looking to develop more Marijuana Strains and welcome growers to send them their clones or Seeds and they would be honoured to test them,Indeed they may use them for future breeding so your genetics could find their way to other cannabis growers within the Marijuana community. 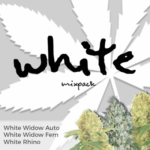 Paradise Seeds – Jacky White Seeds were introduced to the Paradise Female Marijuana Seeds range in 2006. Jacky Whites genetics are still unkown and still kept 100% secret to this day.The early stretching indicates the sativa presence and makes Jacky White perfect for bending and super cropping to acheive excellent yeilds. 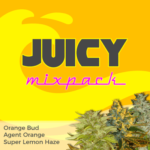 Indoors you can expect this plant to flower with large glistening white frosty buds which taste delicious,a citrus flavour combined with an explosive sativa high followed by a indica like stone will give any Medical Marijuana user a pleasant body buzz with lasting effects. Paradise Seeds – Ice Cream Feminized Marijuana Seeds won 2nd prize in 2008 in the Hydro category at the high times cannabis cup.Paradise Ice Cream Seeds as the name sugguests is a very tasty creamy smoke with undertones of Skunk and pine.Ideal strain for sea of green set ups she is a notorious Marijuana strain to grow, her responce is typical F1 just like a sports car.Ice Cream delivers a potent tasty full bodied well balanced mix of euphoric sativa high and also a indica type stone making Paradise Seeds Ice Cream a must for those Medical Marijuana users who cant quite decide which they prefer. 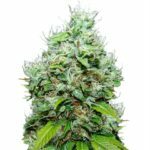 Paradise Seeds – Feminized Magic Bud Marijuana Seeds are a awesome cross of Indica and Sativa genetics and flower in only 50 to 60 days. 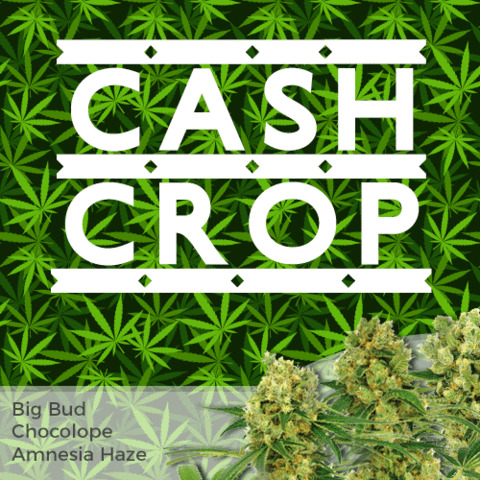 A good yielding comerical strain, Medical Marijuana growers with some space can produce fast strong bushy plants that will grow almost christmas tree shape with large fat very hard compact buds every time to give you a successful crop.Nice aromatic taste Paradise Magic Bud will hit you hard, the strong potent high is almost magical very powerfull yet relaxing stone. Paradise Seeds – Opium Feminized Marijuana Seeds won 1st place in 2006 at the High Times Cannabis Cup Bio category.Opium Seeds are a bitter sweet hybrid with superb high Calyx to leaf ratio.Paradise Seeds wanted to develop a high yielding plant to their Marijuana Seed range and Opium does not dissapoint the buds are simply massive. Opium vigorous growth will soon fill your grow area so make sure you have plenty of room for the exploding side branches full of thick sticky buds.The creamy fruit punch taste works well as the sativa races through your body, A Very nice uplifting stone. Paradise Seeds – Spoetnik Feminized Marijuana Seeds are a pure indica strain.Spoetnik Seeds really do explode from week 3 in veg and finish with amazing power.The smell and taste are just unique like fresh sweet floral grapes with undertones of spice and hash.Excellent choice of Medical Marijuana very uplifting and cerebral stone. 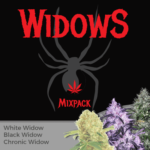 Paradise Seeds are available in Regular,Feminized and Autoflowering varieties and can be shipped worldwide in 3,5 or 10 packs at the very best prices online.